Spent part of this morning in a group discussion on preaching conducted by The Very Rev. 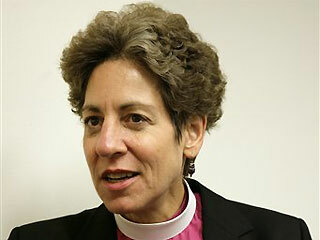 Ansley Tucker, newly appointed Rector of Christ Church Cathedral Victoria and Dean of Columbia. Where Are You Able To See God? People of faith are getting on with loving Jesus and trying to love their neighbours as themselves. Things get in the way. The normal human spiritual challenges of, you know, “Me first…” or “I’d rather be angry about this than find a creative way through it. But, long term, I think most people remember that they are beloved of God and their role in this world is to find a place of greater peace and harmony. That’s the deepest definition of “sin” when we decide that some people are not made in the image of God. We are all made in the image of God. Confronted with the incarnate reality of another human being, most of us can find constructive ways of conversing with one another. That’s the route of death to be turned inward on your internal conflicts; because it doesn’t lead to new life. Katherine Jefferts Schori seems to be a genuine grounded, thoughtful human being. Perhaps the church and its critics might do well to emulate this thoughtful godly woman. She offers a vision of living the Gospel that seems to have the capacity to appeal to adults and to move beyond the kind fo childish conflicts that have torn the church apart for the past 30 years. Let’s move beyond our petty differences, stop projecting our own unhappiness and dissatisfaction on to some imagined “enemy” out there and choose the loving kindness to which Jesus and Katherine are calling us. It may be a function of advancing age but I find myself increasingly thinking about how institutional modern medicine operates these days. Life always involves transitions; some feel bigger than others. Many churches today aim to be inclusive. There is something strangely moving about the fact this morning during Mass for the Closing of the XIV Ordinary General Assembly of the Synod of Bishops in Rome, Pope Francis reflected in his homily on the same Gospel assigned for us to read and reflect upon in our worship today. The problem with grace is that it is unpredictable and out of control.